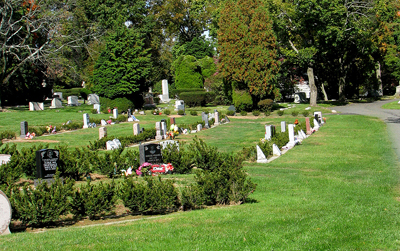 The Glen Section is a pristine parcel of land that has the convenience of a modern lay-out while maintaining the quaint and historic beauty of being surrounded by the Old Cemetery. It is conveniently located off of the main road and features landscaping that accentuates the natural and classic beauty that attracts people to Rosedale. 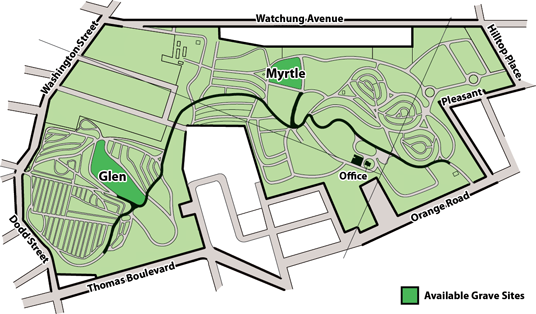 The Myrtle Section is a large, open parcel of land conveniently located directly on the main road in the cemetery. It is situated on top of a large hill that overlooks the beauty of Rosedale. 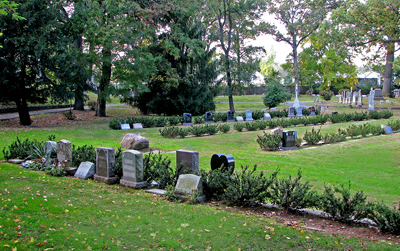 Its views include countless private mausoleums and plots with statues and grave stones that are reminiscent of a time of sophistication and beauty of past generations.